The new interior is the perfect environment to express our identity, stimulate our senses and make work and relaxing easier and more pleasant. Choosing the right materials ensures a healthy environment with optimal acoustics, healthy daylight, low-maintenance, good air-quality, and responds to the needs of the user. The interior is flexible, sustainable and circular, and preferably multifunctional. The demands for offices, school, healthcare, houses and cultural institutes keep on developing and offer chances for material development in the field of environment, appearance, economy, safety, use and maintenance. The speaker programme ‘The Future of Interior’ was put together in collaboration with Odette Ex (interior architect Ex Interiors). 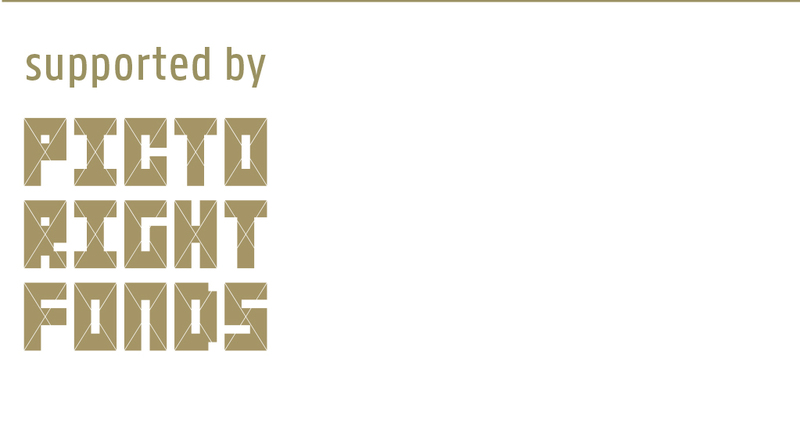 This takes place on Thursday morning 15 March in the Material Xperience theatre. Speakers are Odette Ex, Hans Ubbink, among others. 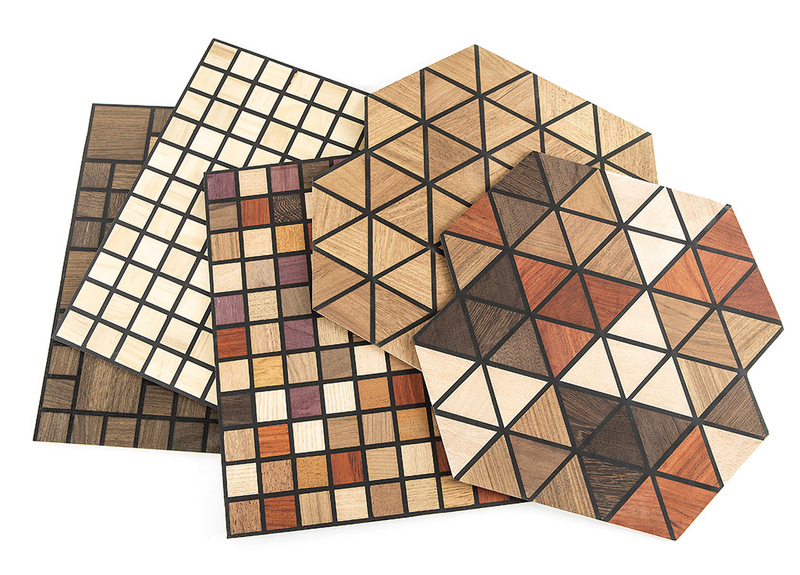 This handmade wood mosaic consists of pieces of wood connected by rubber. The mosaics are water-repellent, UV-resistant, and durable. 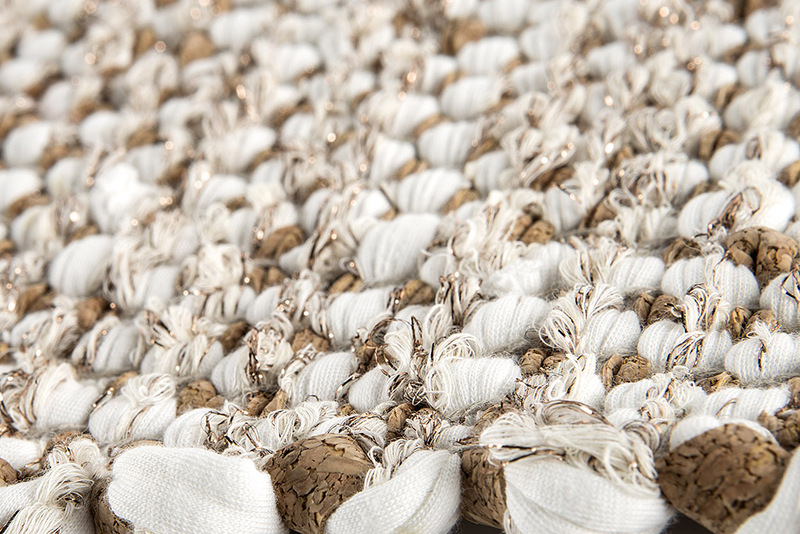 These contemporary and functional design cork rugs are made of a combination of cork and natural fibres such as (recycled) cotton, linen and wool. Cork has many interesting characteristics, such as being lightweight, waterproof and elastic. These works of art are made from paper carrier bags, which are usually thrown away. 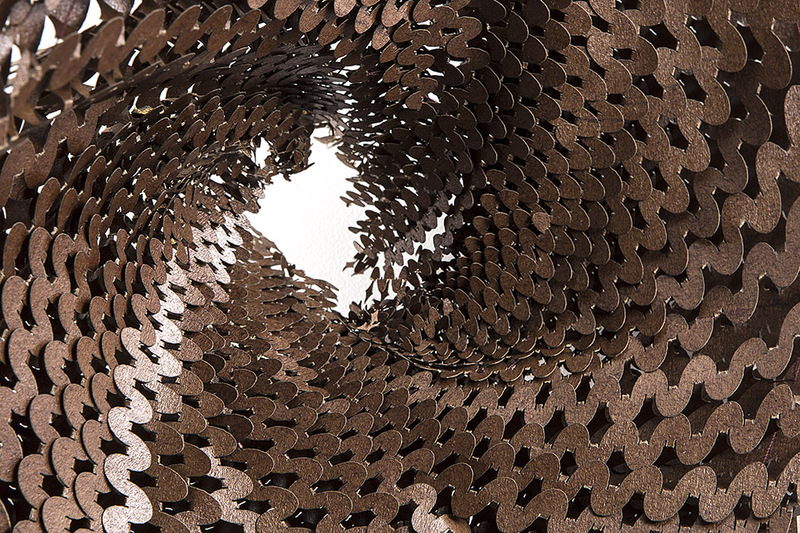 The sculptures are made by combining a traditional craft technique and a new technology, laser cutting. In the meat industry, cow stomachs are regarded as waste. 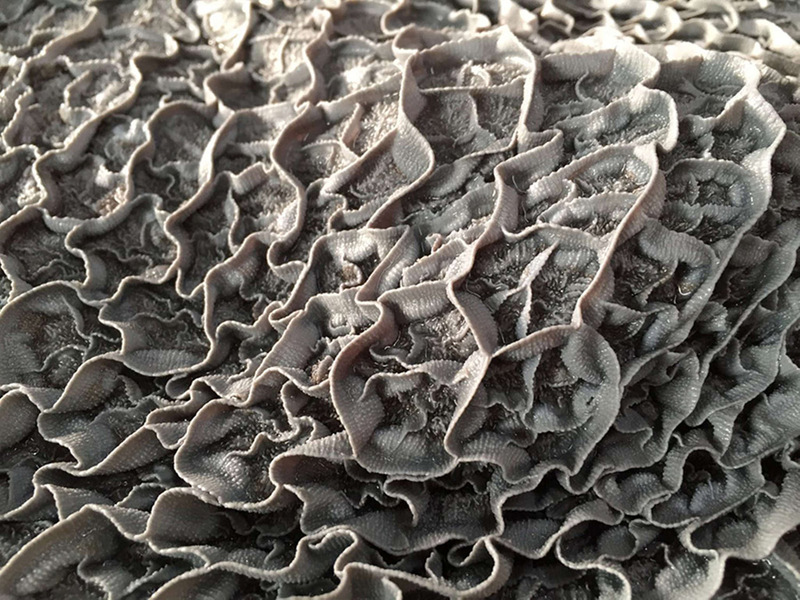 However, for designer Billie van Katwijk the rich, organic textures of these intestines are a fascinating material. Each of the four stomachs of a cow has a different structure, depending on their function. By tanning the stomachs in a special way, Van Katwijk creates unique types of leather. By combining seaweed and recycled paper, Jonas Edvard and Nikolaj Steenfatt developed a new sustainable material. 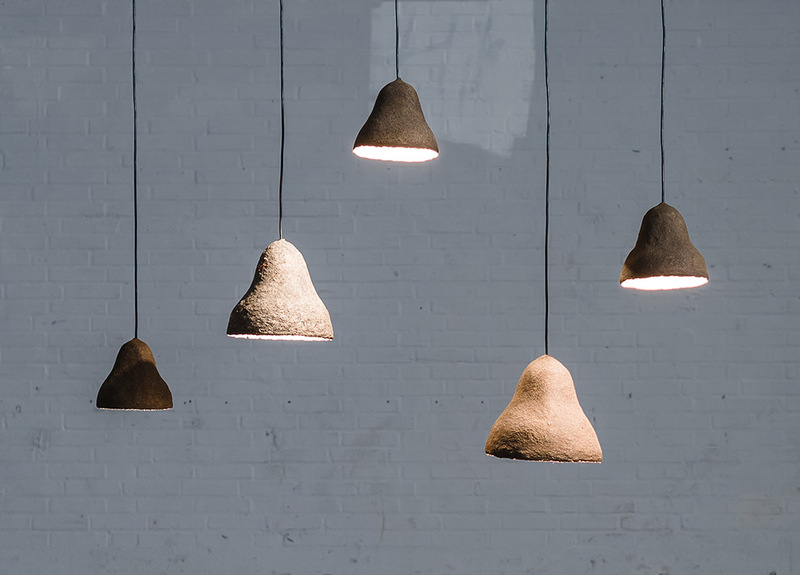 It is best described as a warm and tactile surface with the softness of cork and the lightness of paper, which can be used for products and furniture. The colour of the material is determined by the different species of seaweed, ranging from dark brown to light green. 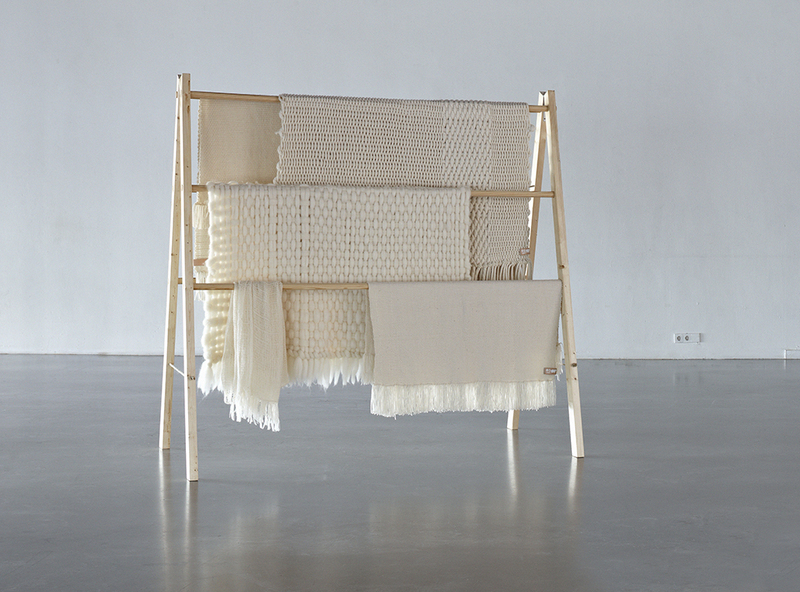 Wolwaeren, designed by Roland Pieter Smit, is a series of wool blankets made by mentally or physically handicapped people. The weaving technique reflects the disabilities of the creator. People with autism, for instance, work well with thin yarn while people with Down syndrome work better with thicker yarns. All yarn used in the blankets is made from wool from the Dutch island Texel.